Soup Cups can be manufactured from heavy weight kraft paper or normal white paper, which provides an excellent space for promoting your brand due to their large, smooth print area. Our soup cup provides a very good barrier against hot foods and liquids. They are ideal for holding soup, porridge and sauces. 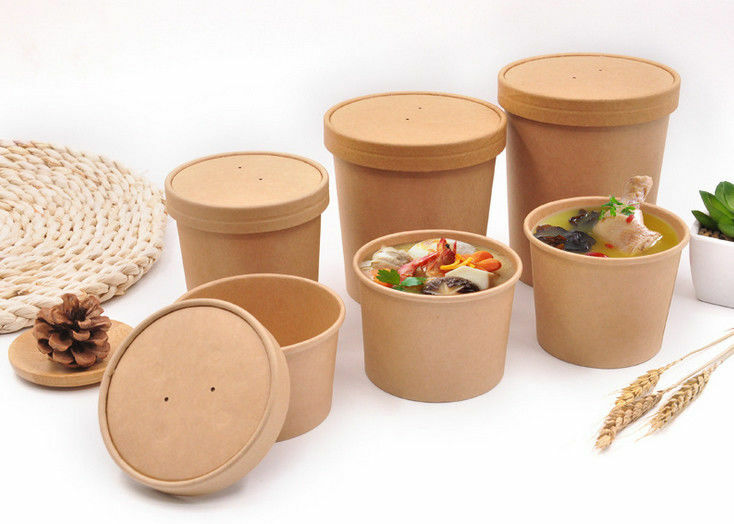 These takeaway soup cups are available in various sizes. Custom printing is available with quantity 50,000 pieces.